The [[Flemish Mennonites|Flemish Mennonites]] of Palschau were members of the [[Ladekopp (Pomeranian Voivodeship, Poland)|Ladekopp Mennonite Church]]. Stowarzyszenie Konserwatorów Zabytków. "Palczewo." Catalogue of Monuments of Dutch Colonization in Poland. 2005. Web. 4 November 2012. [http://holland.org.pl/art.php http://holland.org.pl/art.php?kat=obiekt&amp;id=412&amp;lang=en]. Wolf, Hans-Jürgen. "Familienforschung in Westpreußen." Web. 4 November 2012. [http://www.westpreussen.de/cms/ct/ortsverzeichnis/details.php http://www.westpreussen.de/cms/ct/ortsverzeichnis/details.php?ID=4985]. 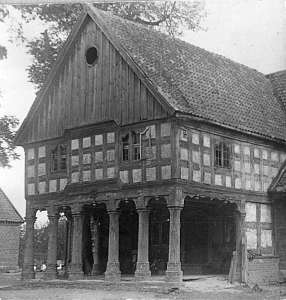 A home in Palschau built at the end of the 18th century that belonged to a Claasen family. Source: Catalogue of Monuments of Dutch Colonization in Poland website website . Thiessen, Richard D. "Palschau (Pomeranian Voivodeship, Poland)." Global Anabaptist Mennonite Encyclopedia Online. November 2012. Web. 23 Apr 2019. http://gameo.org/index.php?title=Palschau_(Pomeranian_Voivodeship,_Poland)&oldid=83785. Thiessen, Richard D. (November 2012). Palschau (Pomeranian Voivodeship, Poland). Global Anabaptist Mennonite Encyclopedia Online. 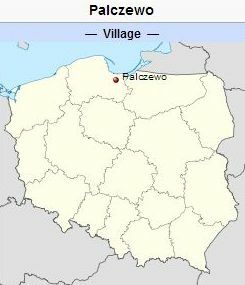 Retrieved 23 April 2019, from http://gameo.org/index.php?title=Palschau_(Pomeranian_Voivodeship,_Poland)&oldid=83785.